Below is a new tipping ‘test’ for myself, from the members’ posts. 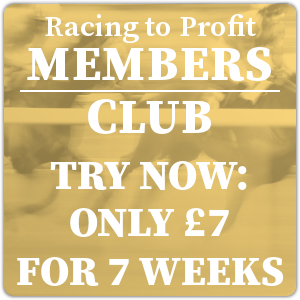 I’ve long been confident with ‘big races/Festival’ tips and they’ve had a good year, +150 members, +53 free posts, for a decent +203 so far. I’d take that every year as a minimum. My approach to ‘daily tipping’ has been stop start all year, albeit plenty of placed efforts so maybe i’ve been a tad unlucky. Anyway, i’m trying to improve at my ability to use all my own stats quals as starting points, before further analysis. I’ll nail this approach one day, and nothing like doing it in full public glare to focus the mind…I started in early November and +10 points a month wouldn’t be a bad return, but i’ll hope for more! so, today’s three…. 3.20 Leic- Hoponandsee – 12/1 (gen) 9/1 (gen) (10s Bet365/Betf/BetB) 12s/10s disappeared as I was typing..
Snapdragon Fire… I thought this looked to be between the top two and that their prices were the wrong way round. This one is generally progressive bar an aberration at Cheltanham- he never jumped at all well and seemed to have an off day. I hope it was just that, as he’s generally been very consistent in his runs to date, including when winning well LTO. He’s still lightly raced in handicaps, races prominently, responds for pressure and if running his race, will be giving his all under the Champ. The Nicholl’s horse is also open to progress but like many in these silks (i don’t know how they find them/who buys them) he seems to have the odd attitude question. Some of these owner’s horses really don’t like a battle and this one is building up the placed efforts without winning. That may be harsh but 9/4 seems short enough for one who is now 0/8 over hurdles, for a trainer that will win novice races with them if good enough. He also steps up in class here. He did win his first career start in France and maybe his finishing efforts have been down to pulling too hard. We shall see, but for now I was happy to take him on. I think he will have to pass the selection to win. Point N Shoot… another race that on paper looks between the top two in the market – Skelton’s is being backed as if defeat is out of the question. He’s 0/7,0 in his career, not getting within 30L of anything as yet, has had 617 days off, hood off, tongue tie and CP on.. were that any other name than Skelton next to him, he wouldn’t be 13/8. Maybe he’s burning down the gallops and they know him to have 15+lb in hand from his homework/gallop buddy. But at that price i’m happy to leave him and if he bolts up then so be it. The selection has a good level of form and is still open to progress. He will try and make all here I hope, and if TB can dictate, I don’t think he’ll be far away. Hawke is going well and as per the test zone micro below, has a good record with LTO winners. The 226 day break is the question…but Hawke has been readying a few off similar breaks in recent weeks inc a winner at Haydock yesterday under this jockey, returning from a similar absence in testing ground. He can clearly ready them if he wants to and i’ll take it on trust this one will be ready to roll. The rest of them seem to have plenty of questions but if Skelton’s is no good and mine needs the run, clearly something else will step forward! Hoponandsee… well she looked the most interesting of the bigger odds quals in Sections 1 and 3 – to my subjective form eyes anyway. Her price is just too big here for a mare who generally tries her best, knows how to win, should race prominently over this trip, and is well enough handicapped with the claim. Her win was over 17f at Newton Abbot, which probably equates to this stiffer 16f here. That was 5 runs ago. She beat a progressive Sherwood horse there who would win well two starts later when stepped up in trip. That was the last time she’s run over 17f< in C5. She ran ok NTO but didn’t find much having travelled well over Stratford’s 19f. The horse that won would go on to win again. She then ran in a small field C4, but only beaten 4 3/4 L, and that would have been under 2l if jumping the last two flights with any fluency. 19f two starts back against the boys/all sexes seemed too much again, but did travel well until stamina appeared to give out, as it did LTO at Uttoxeter. She jumped into second about 3 flights out and briefly looked like being involved, before stamina appeared to give way again. It could be these finishing efforts have been nothing to do with the trip and she’s just had enough, but while the ground remains decent at some tracks, Twister clearly wants to run her. This is also a weak race- the oppo have so many questions. Joseph’s is that price due to him training it, on paper far too much to prove in the context of price. The Greatrex horse is only 3 and I wouldn’t say overpriced, had the odd question now but is unexposed. Bailey’s horse…well she can pull and faded tamely LTO having taken it up approaching the last – having watched it I don’t think that was down to the trip necessarily. I could be wrong, but i’d want to see her find for pressure before taking a single figure price. Fergal’s is 0/15,5p over hurdles… there has to be questions there which makes 5s seem short enough and Connor Brace is at Market Rasen, so doesn’t get that useful 8lb this time either. I’m more than happy for any of those four to beat me at their prices, which one of them may do. But the selection was overpriced to my eyes. Time will tell. So, No more bookie ads on tv sports other than Racing. A smack in the mouth for the bookies and a proper haymaker for the tv stations who argued against far more fervently. No doubt shirts and stadium sponsoring will be next which will put the poor old punter back to the bottom of the list. At least it keeps the thieves in the spotlight, and you never know!? Not good for us punters as the bookies etc will just become more stingy/restrictive. It does get on my nerves being told what we cannot have on TV by politicians/those who talk rather than do etc, who sit in an ivory tower and pontificate. it is ‘only’ whistle to whistle bans and seems the bookies have volunteered, no doubt after some pressure but they clearly want to improve their image. And in game adds have to be focused on gamblers etc – I mean who makes an informed choice, as a recreational punter, ‘in -game’ – it’s just uninformed betting generally – it has to be, just lured in by big Ray Winston! And that’s no good for long term financial health. Those that have an actual interest in in game betting will clearly seek it out etc – those adds were never for benefit of the punter were they?! yea, all the ads were aimed at armchair pocket change and not the serious bettor and if not for the tv co’s the bookies would have accepted ad restrictions months ago. Whistle to Whistle, as I understand it, is only for games going through the watershed with daytime sport having further restrictions that are awaiting clarification. It would be a lot easier to read between the lines if the political parties cut out the tub thumping and did their f’kin jobs properly and with clarity. No idea where it leaves us now although I suspect any motions on holding the bookies to account for blatant law-breaking will diminish as the parties see sponsorship etc as easier to make political capital. Martin Colwell very surprised about your comment over the bookmaker ads for the BBC have announced that 1 in 8, 11 to 16 year olds are following gambling companies on social media is very concerning,and the unscrupulous bookmakers know who they are TARGETING and they have no interest in whose lives they destroy as long as the CEO can pay herself £269 million along with other CEO will be paid excessive salaries,for me it is time that these low lives are brought to account. Having worked for companies in the dental industry they always had advertisement fliers to try to attract new customers for they would always catch someones eye. World leading companies Audi,Dell,Mars bars etc all advertise on TV to attract new customers,the bookmakers are targeting under age potential customers and they should be stopped. Never thought that i would live long enough to see hopefully their demise,afraid money talks however their greed and power may have finally caught them out. 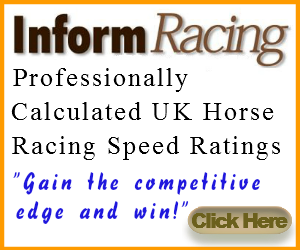 We should follow 98% of the Worlds Racing being a Tote related betting system,where they pay substantial more money per race than ourselves,the money that the bookmakers have creamed off British Racing is disgusting and that £269 million salary should be better diverted to the injured jockeys so they would not have to beg the public for donations to survive. Betting Industry totally disgusts me and sadly have watched them since they started gaining power in the late 60s and no one has stood up to them mainly backhanders and brown envelopes spring to mind!!! just had another email 20 free spins are now in my account no doubt the text is on its way,must have this propaganda three to four times a week never played or took up this offer for disciplined but many are not. Extra activity in this marketing since the government is reducing slots from £100 to £2 stakes,so they are trying to get more hooked onto this stupid form of gambling with their non stop advertising with free spins,many will be taking these offers up sadly.